SeraMyu Antics was originally started many many years ago (2001) by this girl you see here named Samantha and her little sister Brittany. 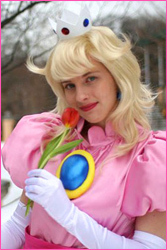 They loved SeraMyu so much, but couldn't help but poke fun at the weirdness. Sam greatly enjoyed making simple web pages and putting things on the internets, so with their combined efforts this page was born. 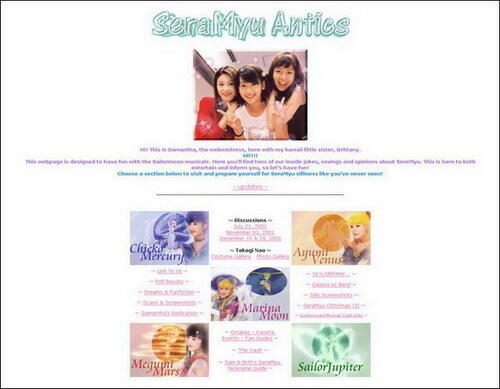 Yep, that single page use to be the entire "SeraMyu Antics" website. And that's what they called it too. 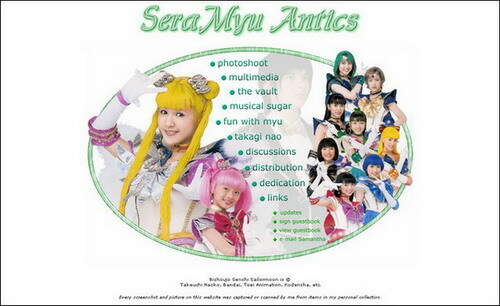 Over time, as Sam hemorrhaged money on Myu program books, videos, CDs and other merchandise, she decided to start digitizing these things and also putting them on the internet. The site slowly grew bigger and bigger. She quickly had the largest Myu image gallery on the 'net. 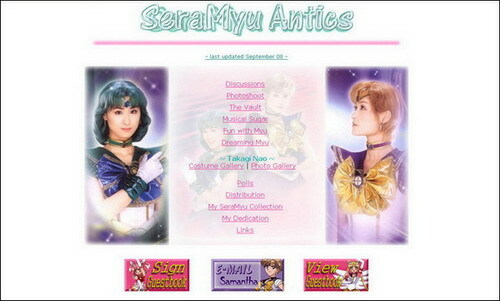 When she started a forum, this opened other fans to submit their Myu scans, cosplay pictures and fanart, offering even more content for the site to host. 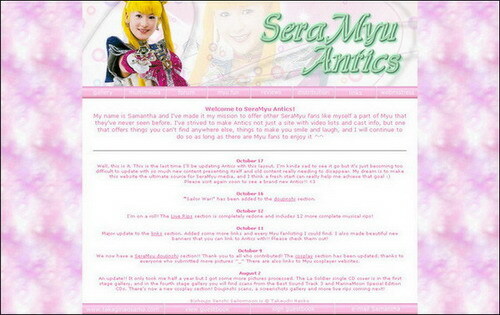 Although the end of Myu has caused other websites to disappear, fans can rest assured that SeraMyu Antics will always be here and will continue to grow as long as there are Myu fans to enjoy it. Wow, what to say. Antics has been on the 'net for over  years, and SeraMyu still holds a special place in my heart. I don't think it'll ever truly die. 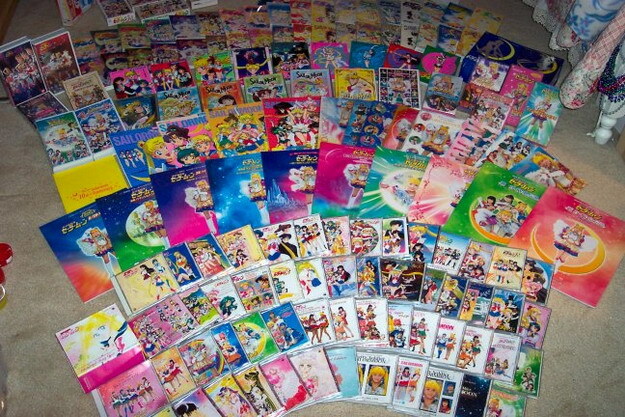 Years from now I'll still be trying to find that elusive program book or buying another DVD to further my collection. 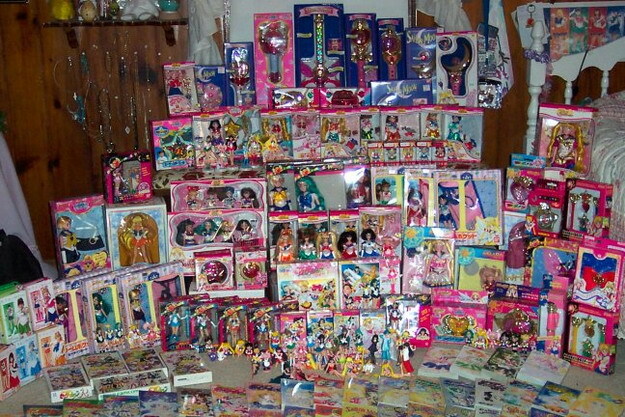 Other interests have diverted my attention and drained my wallet, but I can never resist the sparkle of those colorful costumes or the sound of yet another Usagi's precious voice singing in my ears. 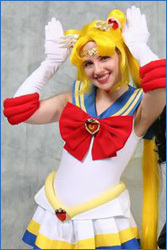 SeraMyu is magical to me, and always has been. It takes you into another world that no animation can; a world of music, dance and dreams. It makes you feel as if these characters you love so dearly are more than just moving on the TV screen. They're on stage, right in front of you, calling out for you to sing, dance and join them in their energetic journey to wherever your imagination wants to take you. It makes you feel young, happy, and thankful to be alive. SeraMyu may not return, but it will never die because it has touched the lives of those people who will forever sing Akiko's songs, dance Ado's dances, and dreams Usagi's dreams. Not exactly cutting edge web design, but this was actually the first time the entire site had a uniform layout. That's why this one made the jump to 2.0. Before this every page layout was unique, making for a very messy website as a whole. I got just a little more creative with this one.